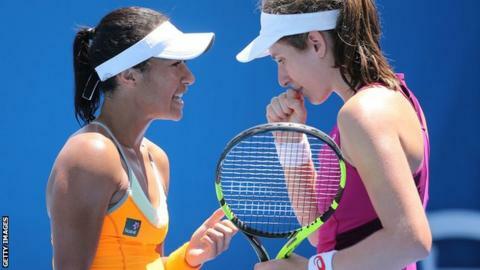 British numbers one and two Johanna Konta and Heather Watson will play at the Aegon International, Eastbourne in preparation for Wimbledon. Konta reached the quarter-finals last year before losing to eventual winner Belinda Bencic. The fans will get to enjoy some "world-class tennis" said Konta, as she returns to her home town. Watson will be looking to repeat her 2015 grass-court form which saw her one game from defeating Serena Williams. "They are two of the best players this country has seen and the crowd will really enjoy getting behind them," said tournament director Gavin Fletcher. Entries for the tournament, which runs from 18-25 June, are to close this week with further high-profile names expected to be added. Watson has lost 6-4 6-2 to the Czech Republic's Barbora Strycova in round two of the Italian Open on Wednesday. Konta faces Italy's Roberta Vinci at the same stage.